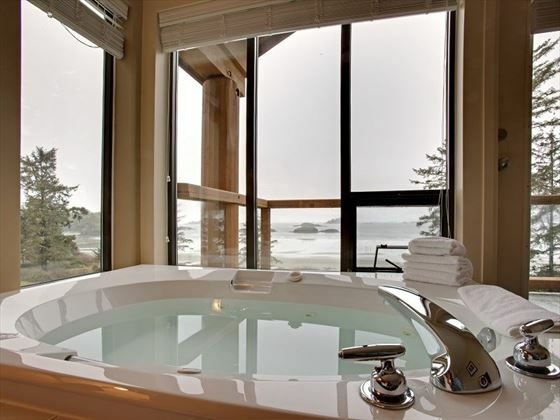 Located in the small, beautiful region of Tofino, set off the west coast of Vancouver Island, this oceanfront resort is nestled into the silky sands of Mackenzie Beach. 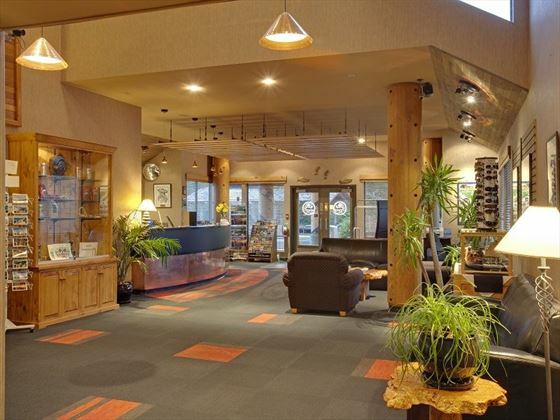 Perfect for nature lovers, the hotel offers a fantastic selection of immersive outdoor activities, including world-class hiking, deep-sea fishing, hot springs, paddle boarding, canoeing and kayaking. Guided wilderness tours are a fantastic way to explore the incredible surrounding wildlife, with possible sightings of whales and bears. 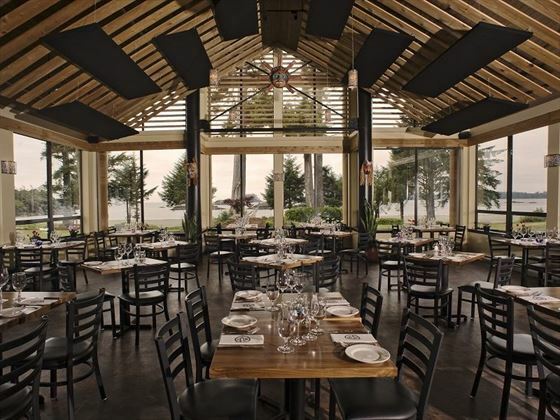 Each room offers wonderful ocean views from a private patio or balcony, and the Beachfront Bistro is the ideal spot to watch the sun sink into the glistening sea horizon as you tuck into delectable cuisine. 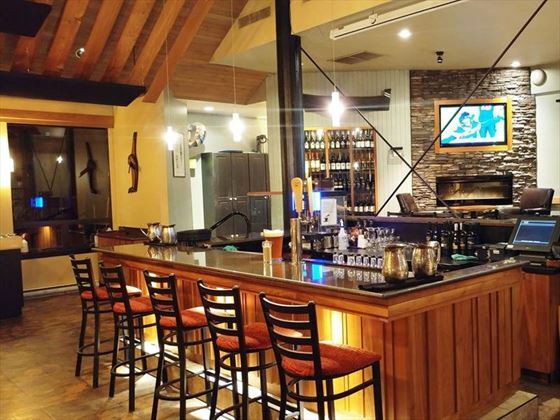 There are also luxurious hot tubs, a cosy outdoor firepit and several lovely barbeque areas to enjoy. 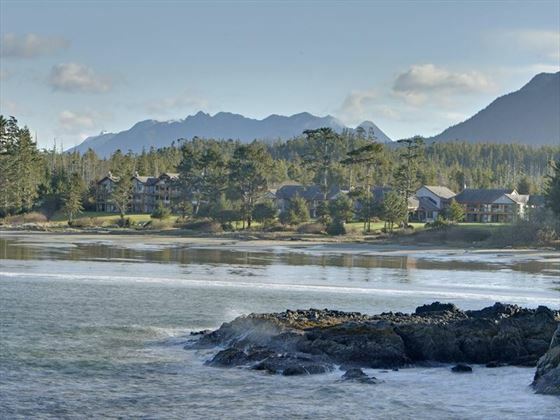 Nestled along the sandy shoreline of the beautiful Mackenzie Beach, this resort offers a wonderful location in Tofino, set on the West Coast of Vancouver Island. Encounter abundant wildlife, pristine beaches and luscious rainforest trails in the spectacular surrounding Pacific Rim National Park. 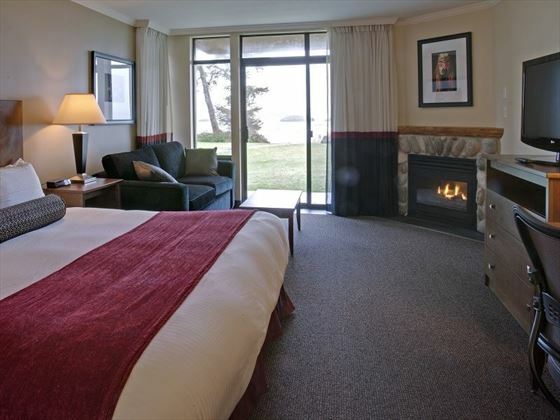 The hotel is just four kilometres from downtown Tofino, which features local galleries, shops and culinary delights. 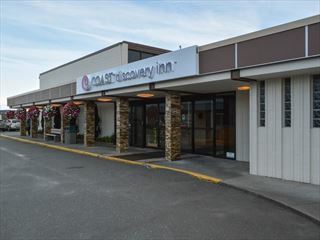 This hotel is located just 15 minutes from Tofino Long Beach Airport. 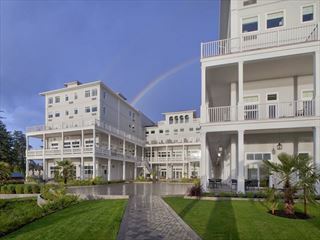 Offering either 2 queen-sized beds or one king-size bed and a double sofa bed, each beautiful room features stunning ocean views and a variety of amenities. 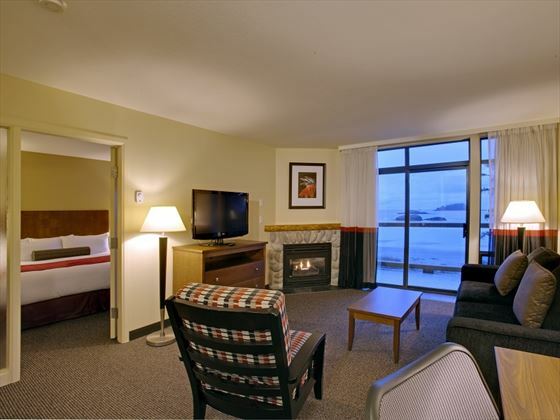 Accommodates up to four adults, or two adults and two children. 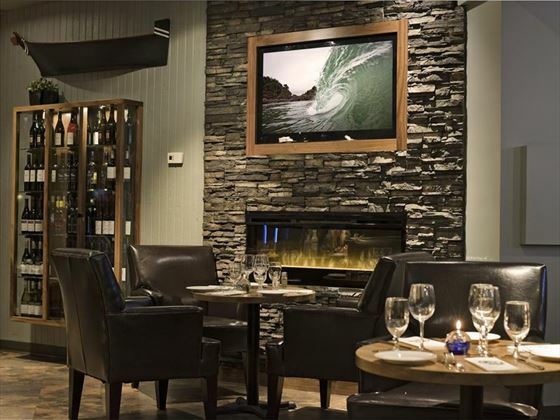 The Beachfront Bistro - Presenting a wonderful selection of fresh, regional cuisine and a chic atmosphere, the Beachfront Bistro is the perfect spot to enjoy delicious food, sip on some of British Columbia’s finest wines and admire the stunning vistas. 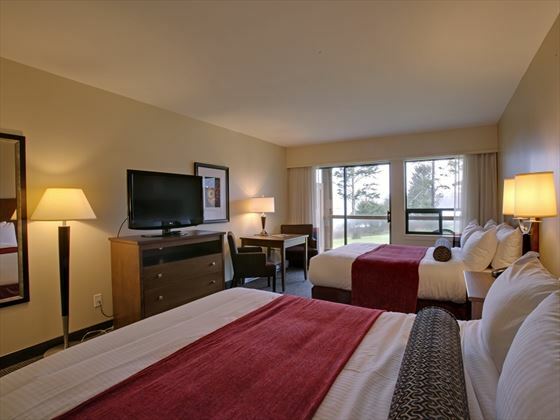 Closeby to the charming seaside town of Sooke, this gorgeous resort offers comfort and style ideal for relaxing after a day of outdoor pursuits. 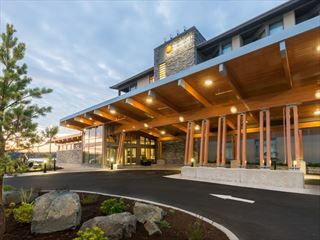 Offering complimentary bikes and sporting equipment, the resort focuses on getting you outside and active, before tempting you back with international cuisine at the sleek restaurant.